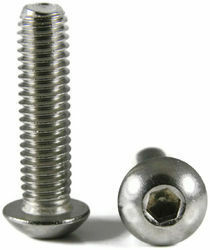 Manufacturer & Supplier of a wide range of products which include Brass & SS Screws & Accessories such as Brass and S.S. Movement Pillars, Brass, SS Screws and Accessories, Brass Stopper Pin Of Different Sizes, Metal Screws, Brass And S.S Dial Screws, Brass And S.S Cover Fitting Screw and many more items. With the assistance of our team of expert personnel, we are engaged in providing an assorted range of Brass, SS Screws and Accessories. Our given product is developed from the premium quality material in compliance with the set norms. This product is high in demand among our customers spanning across the globe due to its remarkable quality. We provide this product to customers at nominal rates in a committed time frame.